Yes. 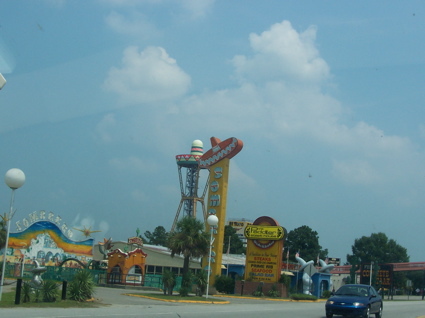 South of the Border. Have you guys heard of this? 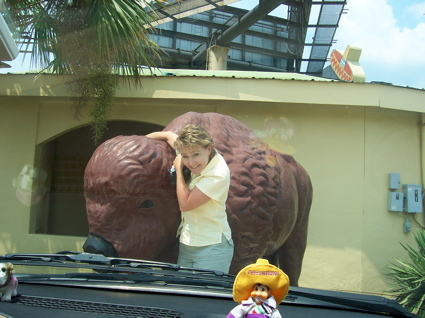 It's a tourist attraction of sorts in northern South Carolina. We pass it every year. 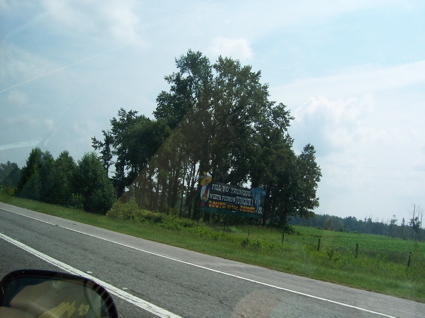 There are billboards for hundreds of miles leading up to it. 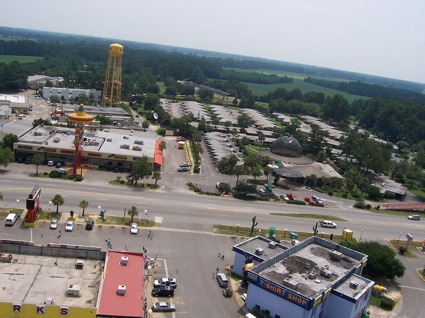 The first thing we did was go up the huge Sombrero tower, which is the most prominent structure in the entire place. It was $1 a person to go up, so we paid our fee and went up the elevator. This sort-of-weird old guy was in it with a chair, took our receipts, etc. And we rode up. We walked into a graffiti-covered cement hat. wheefizzle‚Ñ¢! 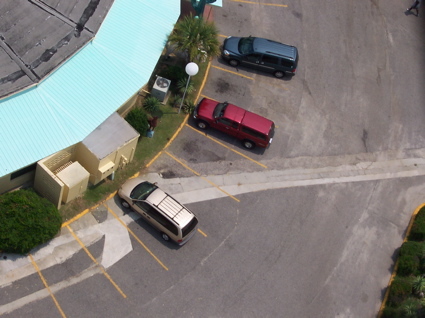 So, naturally, I took some photos of the place from above. 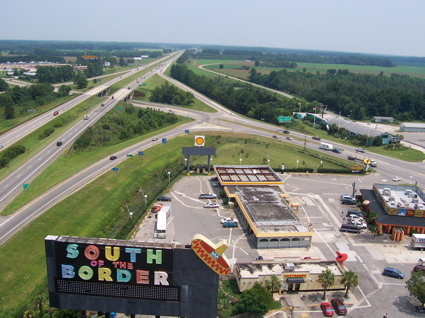 This place is so HUGE it even has it's own "city" - South of the Border, SC. And I just had to take a photo of our van from up there! So, we went back down with the weird old guy and then proceeded to one of the stores. 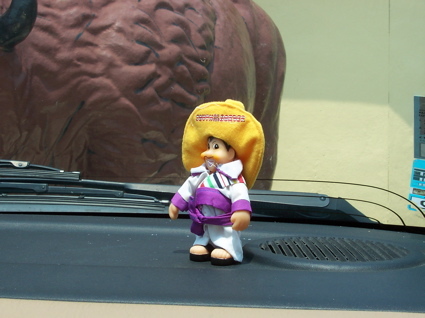 There is tons of random stuff there, but I got a mini Pedro (the mascot of the place) and a giant flyswatter. I also got my mom a magnet and a mug, and I got my brother a nifty mug.